Launch NTFS Permissions Auditor and go to Options -> Advanced and Enable debug logging. If you have error at the startup and you cannot launch it, then you need to add "/log" argument when launching NTFS Permissions Auditor. 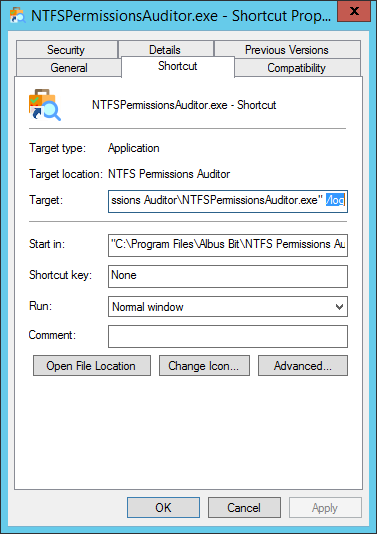 Launch NTFS Permissions Auditor and go to Options -> Advanced and View log files. You will find NTFSPermissionsAuditor.log. Or you can manually find it in AppData folder, that usually is here - C:\Users\USERNAME\AppData\Local\AlbusBit\NTFSPermissionsAuditor.